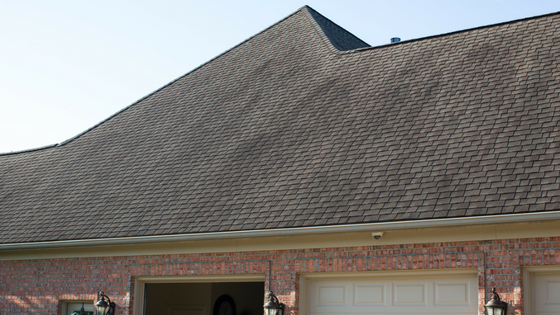 Is your roof a darker color that it was a few years ago? Is your house slowly turning brown without you lifting a paintbrush? If you notice these changes it is possible that your roof is not dirty but the wet and humid temperatures are breeding a mold known as Gloeocapsa Magma. Gloeocapsa Magma is a strain of mold made up of billions of microscopic organisms that can wreak havoc on your home’s exterior, especially under the eaves. The humid environment we experience here in Ohio is conducive to the spread of this mold. Considering how small these individual organisms are, by the time you are able to see them, you have an infestation. The mold lays down a root system that burrows into your shingles, asphalt and even into your metal or tile roof. It feeds on the limestone and deteriorates the roof through photosynthesis. It causes an acidic decomposition that destroys even more of the roof system. The changing temperatures throughout the day help the roof to expand and retract, which gives room for the roots to grow more and create more cracks and fissures. This process causes decomposition of the shingles and helps them to become loose and blow or wash away. This can shorten the life of a 25-year roof to 15-18 years. If left untreated this could decrease the lifespan by 25%. This type of mold has also been known to cause some health concern such as allergies and sick building syndrome. 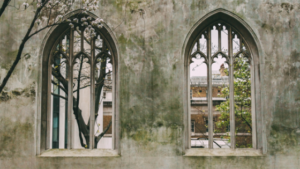 Sick building syndrome is a situation that causes the occupants of a building to have acute health-related effects that seem to be directly linked to the time spent inside the building because no other specific illness or cause can be found. The darkening on the roof can also raise the temperature in the attic and throughout the whole house by as much as 25%. The more heat that is in the home, the more money the electric company will be paid to cool the home. Our Soft Washing process applies an environmentally friendly cleaning solution to your roof. While power washing can destroy shingles, our Soft Wash process uses a gentle spray designed to kill the algae and any other bacterial contaminants without damaging the roof. 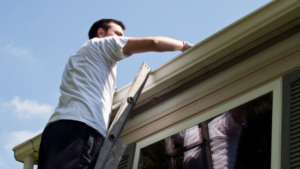 Cleaning your roof costs much less than the alternative, replacing the entire roof early. Most roof cleanings are under $800 depending on size and level of difficulty. After the Soft Washing, your home roof will be clean and look new again, restoring curb appeal and giving your property value a boost.